We are a leading Supplier & Distributor of Herbal Products such as Aloevera Juice, Noni Juice, Aloe Vera Juice, Aloevera Shampoo, Amla Juice, Alo-Amla Juice and many more items from India. For the diverse requirements of our clients, we are offering a quality range of Noni Juice. Offered noni juice is used to treat cancer, diabetes, heart disease & cholesterol problems. The offered noni juice is acclaimed in the market for antioxidant property. 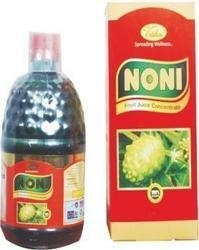 Our clients can avail this noni juice from us in diverse sizes of bottles in a given time frame. We take pleasure to introduce ourselves as one of the renowned firms, engaged in offering quality checked Aloe Vera Juice. This aloe vera juice is made with aloe vera that contains nutrient compounds that help to heal and soothe the skin. We offer this aloe vera juice in a various sizes of bottles as per the needs of customers. Offered aloe vera juice is checked at our end before delivering to patrons in order to ensure its quality. Neem, Glucosamine, Flax Seed, Noni, Aloe Vera, Daily Immunity, Leucorrhoea, Menstrual, Energy Booster, kidney, Hormone Balancing, Thyroid Care, Bone Care, Memory, Diabetic Care, Heart Care, Cow Colostrum, Spirulina, Ganoderma, Acai Plus, Weight Gain, Stem Cell Plus, Goat Milk Tablets, Piles, Asthma, Ulcer, Liver Care, Kranex Plus, Kurkumin C3 Power, K3 PowerTM, D- Toxi PlusTM, Fortlife Transfer Factor, Fortlife Transfer Factor Plus, Kasly Dong Chong Xia Cao, Fortlife Gluco, Slim fit, Height Increaser, Chlorolophyll, Musli Power, Sea Buckthorn, Wheat Grass, Co-Enzyme, Bee Pollen, Ortho Care, Kyani Sunrise, Buffalo Colostrum, Uric Acid, Brain Booster, Methi Hills, Bio Protectant, Fairness, NuMoringoTM, Omega 3, Glycacare, Hempseed Oil, Perilla Oil, Kyani Sunset, Ajwain, Arjun Chal, Brahmi, Guduchi, Harde, Haridra, Kumari, Triphala, Karela, Shilajit, Green Tea, Ginger, Garlic, Lycopene, Ginkgo, L-Arginine, Bee Propolis, Kevital, Garcinia, Mushroom, Grape Seed, Catuaba Bark, Digetive Enzymes, Fiber Plus, Livstrong, Leanguard, Panax Korean Gingseng, Probiotic, Anit Addiction, Blue Berry etc The order can be placed in combination also. All come in attractive Child Lock Tablet Container of 60 packing. Concentrated Mineral Drops, Anti Radiation Drops, Natural Energy Drops, Skin Care Drops, Pain Relief, Daily Nutritional, Hair Care, Cell Food, Noni Drops, Anti Addiction, Hormone Balancing, Asthma Care, Ortho Care, Piles Care, Acai Plus, Omega 3, Slim Fit, Chlorophyll, Numoringo Drops, Anti Aging, Nano Mineral, Concentrated Oxygen, Concentrated Nutritional, Kayani Sunrise, NitroFX, Anti Diabetic, NitroXtreme, Musli Power. Noni, Anti Diabetic, Heart Care, Multi Nutritional, Acai Plus, Kalp Ark, Chlorophyll, Power Juice, Slim Fit, Anti Aging, Aloe Noni, Aloe Vera Liquid Gel (Like FLP with Demo), Kyani Sunrise, Sea Buck Thorn, Goji Berry. 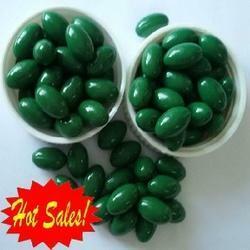 Looking for Herbal Products ?